The Grand Tour has been a surprisingly good replacement for the old BBC Top Gear -- the new BBC version with the guy from Friends and the guy with the big glasses (oh wait...goggles guy got the sack) had the same great production value but was lacking in chemistry. It was as if NASA had been given the job of creating the next generation Mazda MX-5 -- building a wonderful display of technology but completely lacking in soul. When Hammond, Clarkson, & May left they took all of the character away -- including such seemingly meaningless (to a TV executive) things as May's paisley shirts. 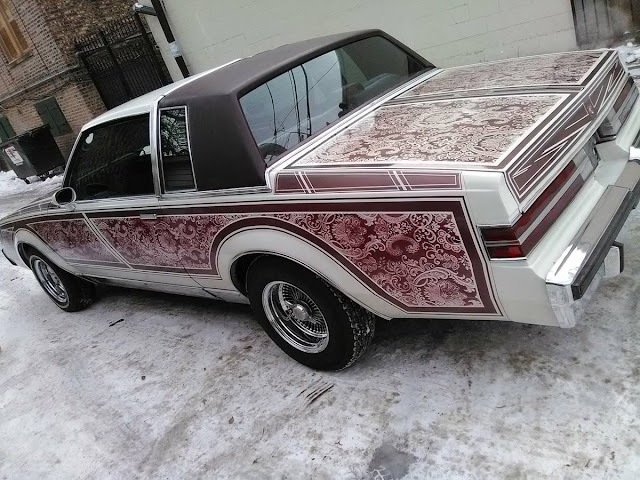 You might not want to wear an ugly shirt like May, but you could drive in the next best thing -- find this 1986 Buick Regal offered for $3,000 near Chiraq, IL. Tip from RockOn. 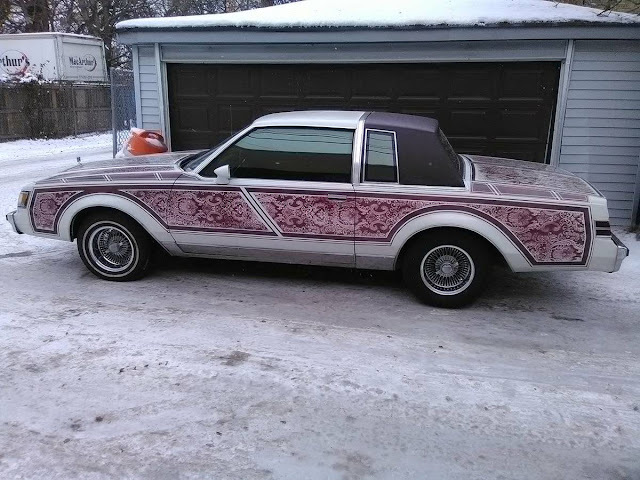 The best part about the advertisement is that the seller makes zero mention of the custom paint scheme in his text, but he does say it is not a low rider and features the origin V8 engine. For the average custom riding on 14inch wire wheels...this is not bad at all. I'm a bit embarrassed to say how much I like this. 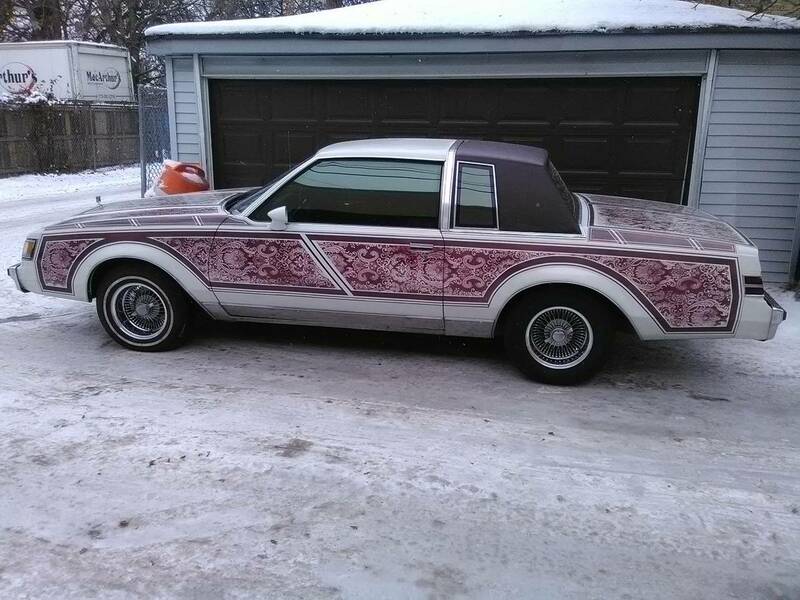 It's almost tasteful in its opulence. It's still probably an empirically terrible car to drive by today's standards but it's a snazzy terrible car... I just don't know if I'm snazzy enough to drive it. Hmmmmm, could this be a very early Bhagwan Shree Rajneesh car? Before he amassed followers in the U.S. sufficient to supply him with a steady supply of Rolls-Royces? What's all that white stuff on the ground around the car? Best looking 86 Buick Regal I can remember seeing. Parse that as you may.